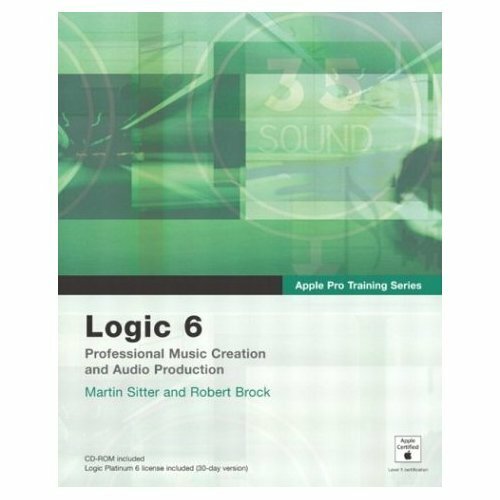 If you've ever dreamed of setting up your own recording studio, Apple's newly acquired Logic high-end audio software is the perfect place to start, and this Apple-certified book provides the training you need to begin creating audio master works with it. Whether you're looking to digitize your musical compositions, create cost-effective 5.1 surround soundtracks, or transfer that song from your head on to CD, this comprehensive book will show you how. Multimedia artist and veteran audio producer Martin Sitter, along with veteran Logic instructor and keyboardist Robert Brock, uses step-by-step instruction and straightforward, jargon-free prose to demonstrate how you can employ Logic's software synthesizers, sampler, and digital signal processors (compressors, reverbs, and so on) to put the perfect aural polish on your audio creations. You can work through the guide from cover to cover for an entire, hands-on course on Logic--complete with review questions at the end of each chapter, and lesson files and a trial version of Logic on the accompanying CD-ROM. Or you can go straight to the sections that interest you most.